Welcome to Help-a-Pet, Bennington, Vermont’s free veterinary clinic for small animals. We offer treatment of parasites, minor illnesses, wounds, and injuries, as well as basic wellness exams. We are not a vaccination clinic but do offer rabies vaccines in conjunction with the wellness exams. 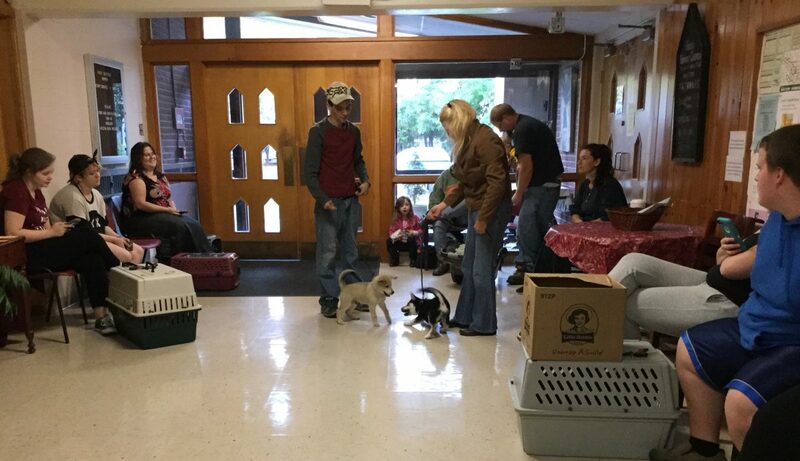 We welcome pets from families who do not have the funds to go to a veterinarian, for example, people who are eligible for Medicaid, 3 Squares, Fuel Assistance, or Meals on Wheels. On Facebook? Give us a ‘Like’ to get more updates and free clinic reminders. s are healthy, happy and loved. Ongoing financial support is needed to ensure that it can continue to provide care to needy animals. All donations go directly to providing medical supplies and equipment. Your kindness and generosity in support of the clinic will ensure that it will remain in operation for years to come. Contributions may be made through Paypal by clicking the “Donate” button on the right, or mailed to Help-a-Pet, 74 White Creek Road, North Bennington, VT 05257. George Glanzberg is a retired veterinarian with over 40 years of experience helping small animals. He ran a veterinary clinic in North Bennington, Vermont, with his wife, Gail, and his assistant of 35 years, John Resio. He was also aided for the past 10 years by Ernie Lafontaine. 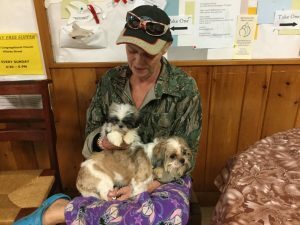 Retirement presented an opportunity for them to dedicate their love of animals and the wisdom and experience gained from their years of professional practice to the service of animals whose families would otherwise be unable to access veterinary care. 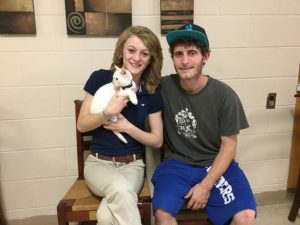 lucky animals benefited from the care that Help a Pet made possible. The Help a Pet free veterinary clinic is a natural outgrowth of those early years. It was founded to address a genuine need in the community for veterinary care for all animals, regardless of the ability of their people to pay for veterinary care. Seed money to initiate the clinic was provided by a grant from Pets of the Homeless. Space for the clinic has been provided with generous support from the First Baptist Church, Bennington. Telephone consultations now available. Click here for more information.